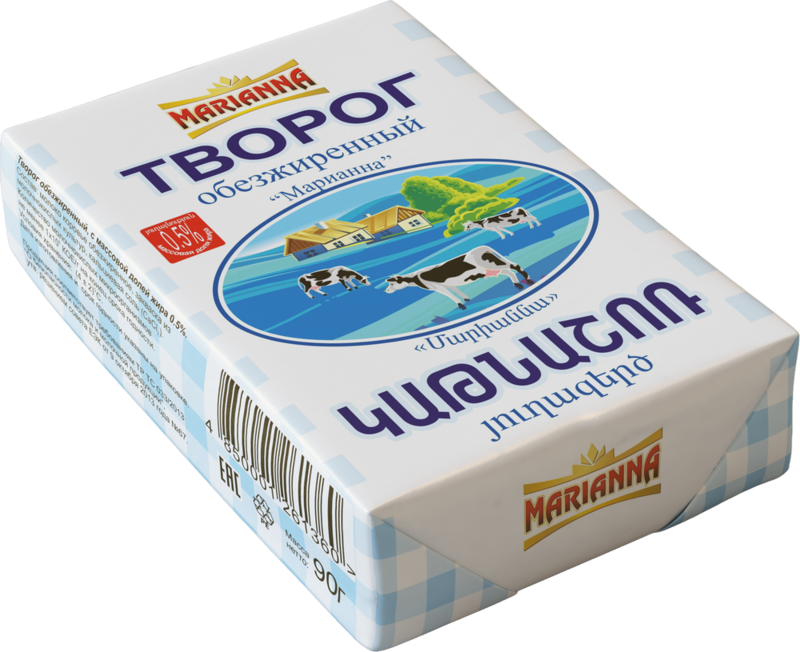 Dairy products consumption culture is highly developed in Armenia. 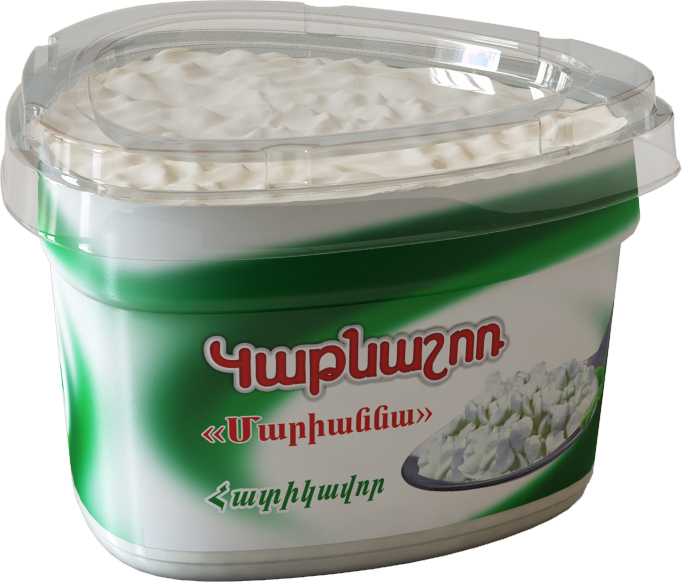 Everyone knows that milk, kefir, matzoon and yogurt are beneficial for digestion and immunity enhancing, that is why the demand for this products in Armenia will always be high. Dairy products manufacturing technology is based on the milk fermentation process of under the influence of lactic acid bacteria. Almost every manufacturing step is identical for all types of dairy products. The first step is the reception, preparation and purification of the milk. Later on the milk passes normalization for establishing the certain fraction of the fat mass. The milk is homogenized to exclude fat residues and to ensure the homogeneous composition. The next step is pasteurization, which is carried out at a temperature of (85°C-90°C) degrees. During this operation a favorable environment for lactic acid bacteria is being created. 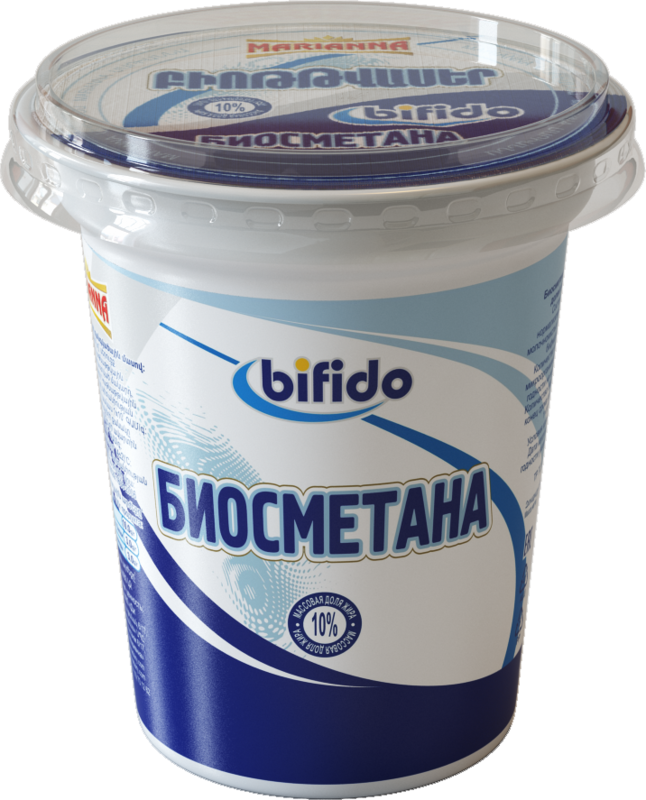 After cooling, the ferment from thermophilic or mesophilic lactic acid bacteria, bifidobacterium is being added to the milk. Next, fermentation process is taking place, wherein the raw material is locating in a tank and after the ripening is being packed into the container. The final stage is the quality control, labeling and packaging for storage or shipment to the stores. The sour cream is one of the most common types of dairy products. 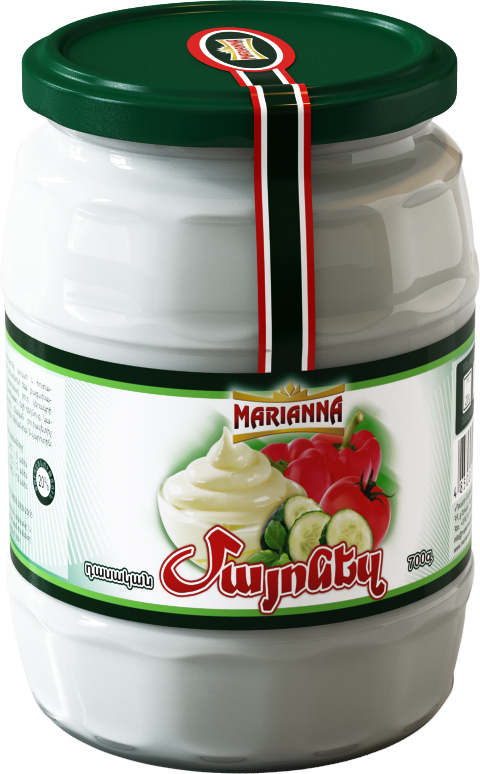 "Dustr Marianna" produces the sour cream with different fat content and different packages. 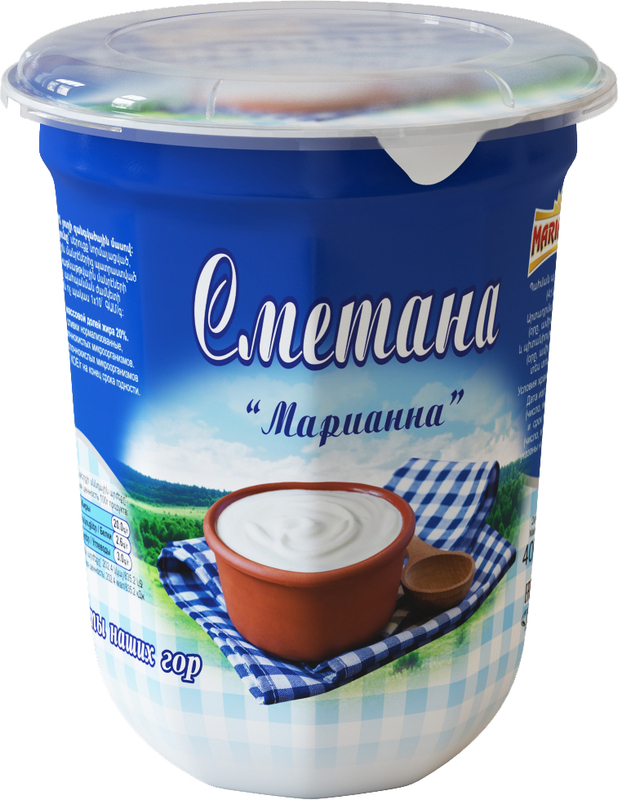 The sour cream is rich in vitamins, organic acids, and trace elements, which include magnesium, phosphorus, zinc and others. 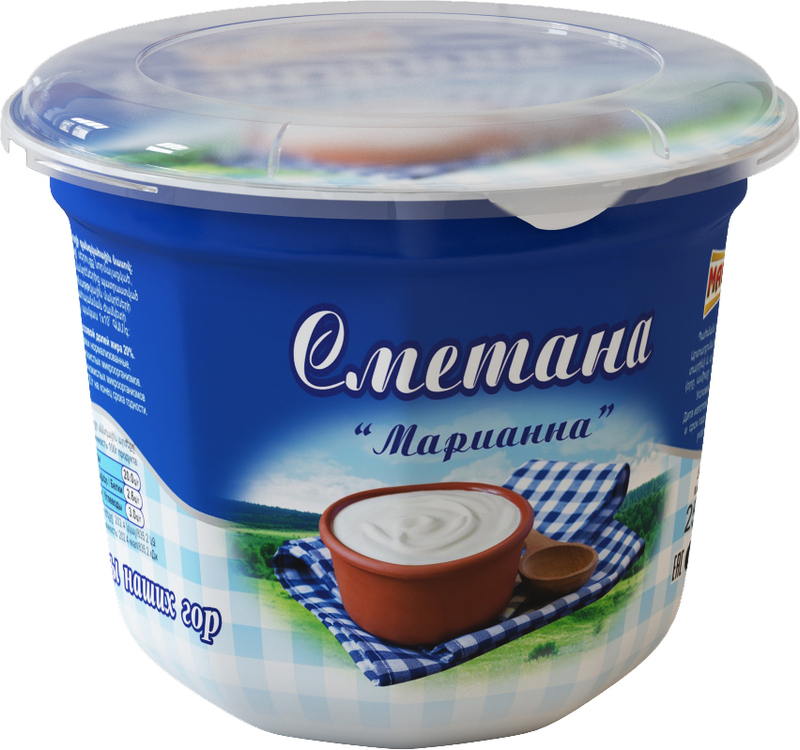 Sour cream - an essential product of any kitchen, as is widely used in the manufacture of various dishes. And of sour cream masks all women know! High-quality, good cream should be smooth consistency without grains, slightly sour, oily and thick. Such cream is produced under the brand name Marianna. The sour cream is the indispensable attribute of the dietary intake of human. The sour cream is indispensable for the men by emaciation, an emia, bad digestion. 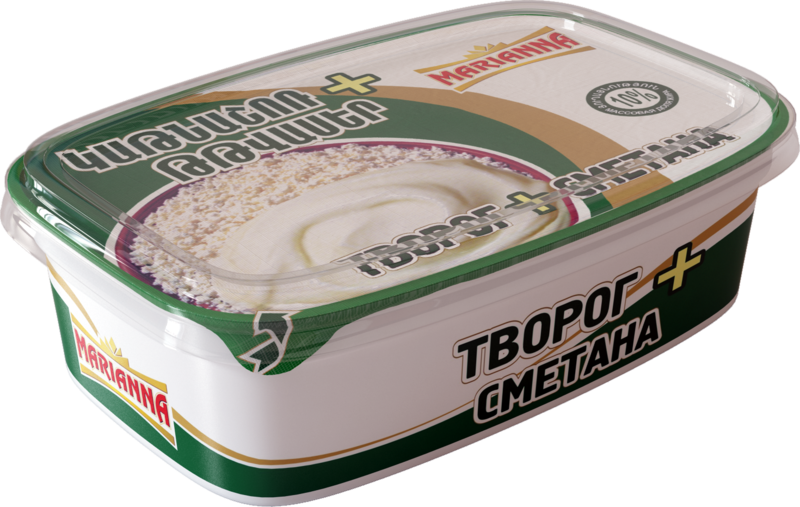 Biological value of the sour cream is caused by presence all the compound components of the milk. It is differentiated by the comprehensibility and dietic properties, also it consists the vitamins such as: A, E, B12,C, PP. 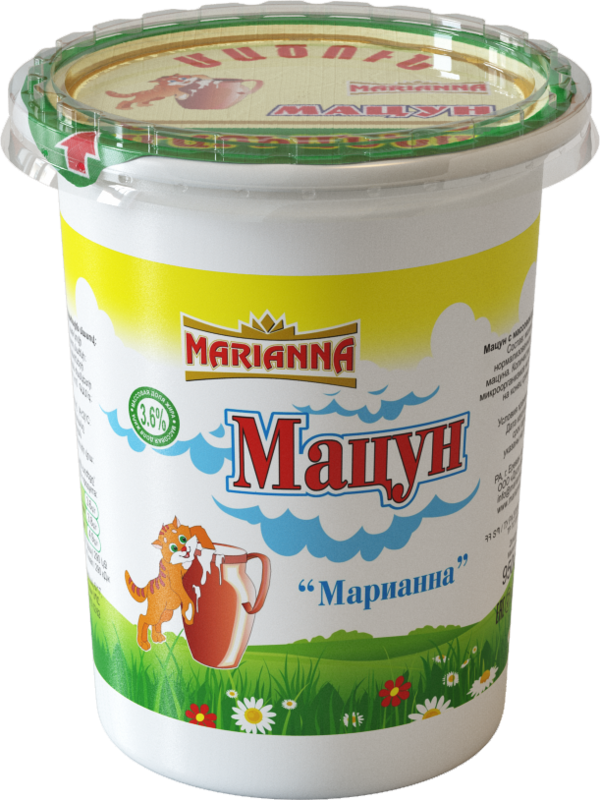 Marianna Company Matzoon with different fat content and in different packaging certainly will take its special place in your kitchen! 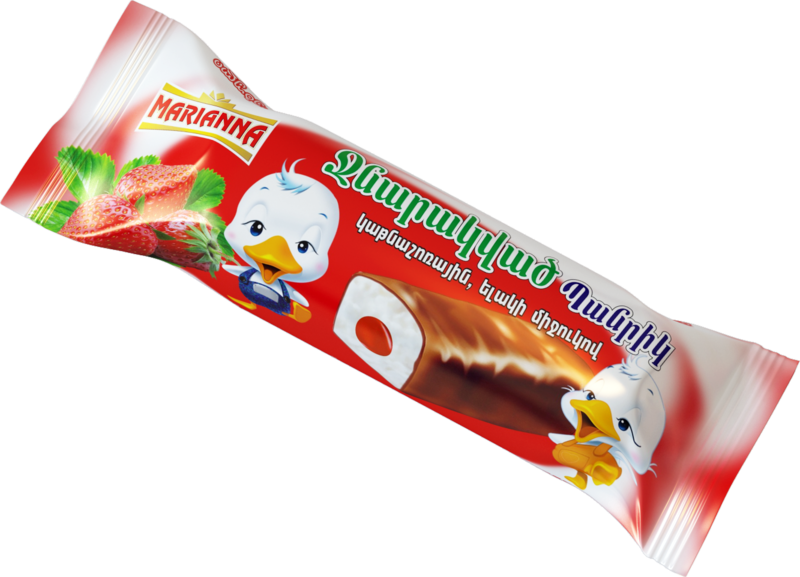 This historical Armenian product is known since ancient times. Matzoon is widely used because of the taste and beneficial properties. It contains living lactic acid bacteria which beneficially affects the gastrointestinal tract microflora. Matzoon is also beneficial for people suffering from hypertension. 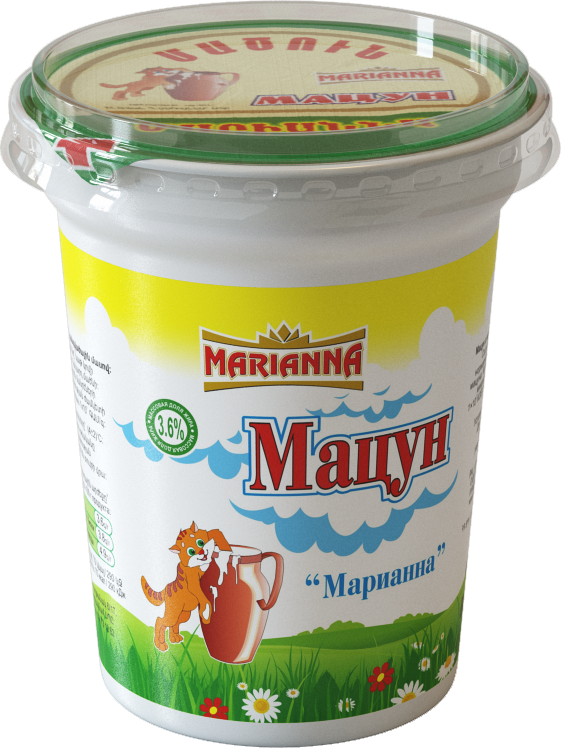 "Marianna" offers to the Company’s consumers matzoon with different fat content and in different packaging. 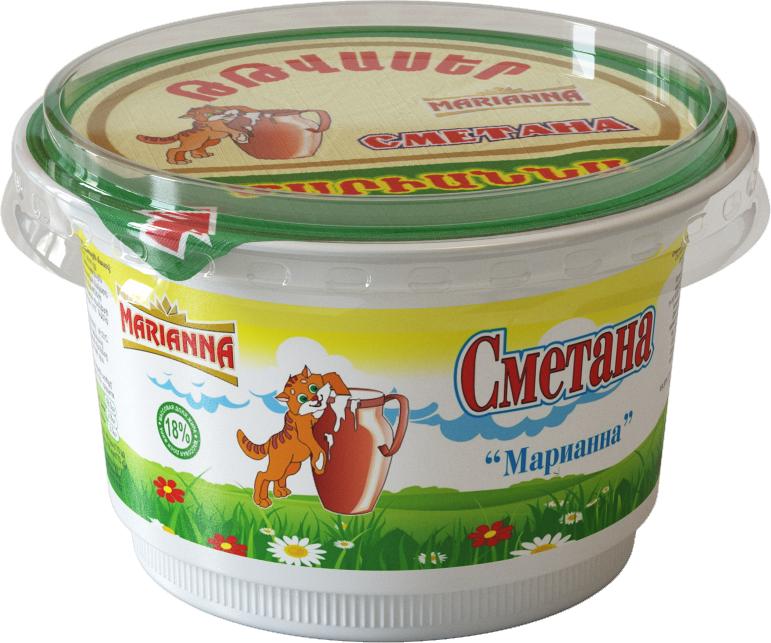 Matzoun, as well as other fermented products and beverages is characterized by its digestibility, better than the milk. Matzoon possesses a very high nutritional value, contains biologically active substances, vitamins and the essential amino acids. The use of this dairy drink helps to improve the overall organism condition. 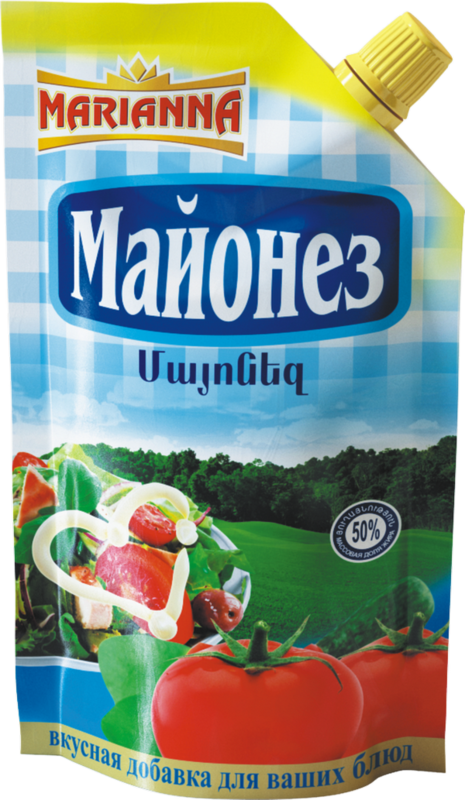 ​Marianna Company Matzoon with different fat content and in different packaging certainly will take its special place in your kitchen! 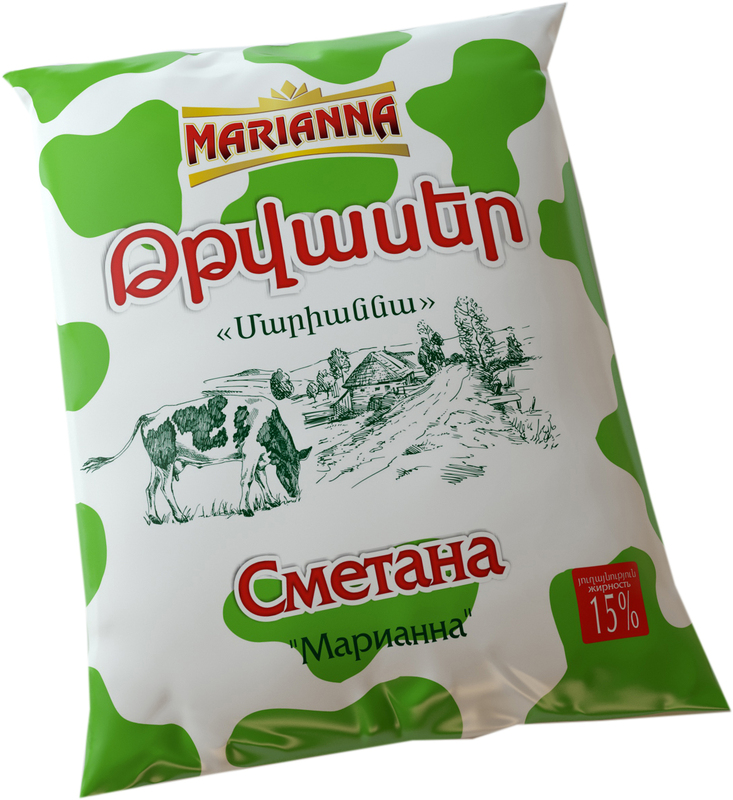 From very ancient the strained matzoun became the essential part of the armenian cuisine. Matzoun is the universal product using at the preparing of soups, salads and also as the garnish. Milk cocktails are made from milk adding fruits and berries (strawberries, peaches), cocoa, chocolate, vanilla. Everyone knows that milk cocktails are not only healthy, but also are very useful. Milk cocktails are liked both for adults, and for children. Milk is a unique product which accompanies us from first days during our life. It contains almost all the essential nutritions which is necessary to human's organism. Ultra-pasteurization allows completely secure the milk, retaining most of the vitamins, proteins and minerals. During the ultra-pasteurization milk is heated for 5 seconds from 137 to 141 degrees first - such a short period of milk heating to the high temperatures allows to get out the destructive microflora, but does not allow destruction of big part of vitamins and minerals. Then the milk is cooled as quickly. During this process all the nutrients and most important, the natural calcium, which is necessary for bones are staying. 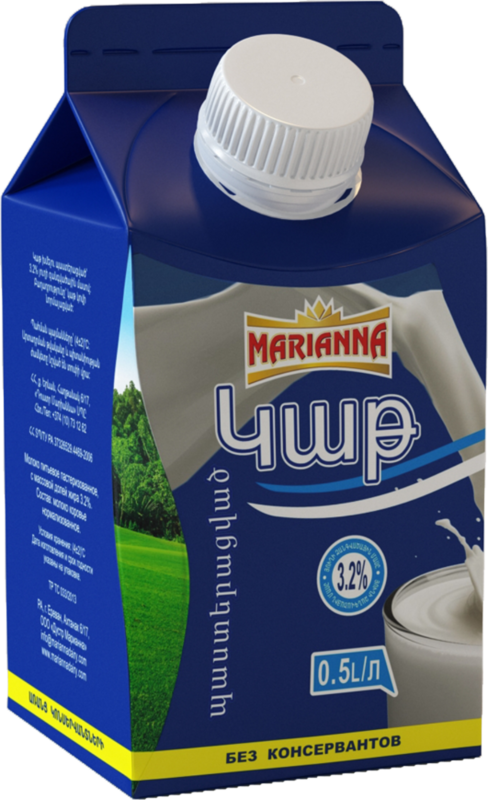 This milk is stored for a long time, is fermented very well and does not require thickeners and preservatives. 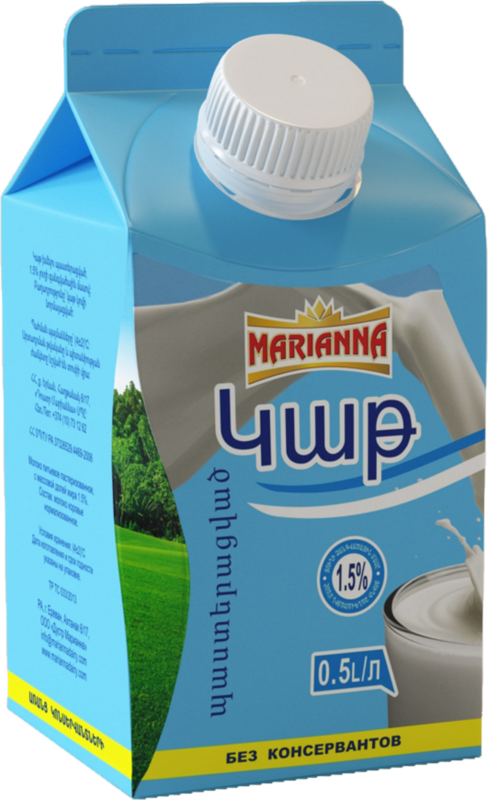 UHT milk from "Marianna" has a long shelf life - 180 days. The secret of milk with a long shelf life is simple. Fresh milk heated at high temperature for a few seconds and cooled, aseptically is filling into aseptic packages. This gentle treatment allows the natural milk in closed way stored in a few months keeping all its benefits. UHT cream are made from natural cow milk, have an excellent nutritional and flavor qualities. Cream of 10% fat ideally fits for adding to tea or coffee. 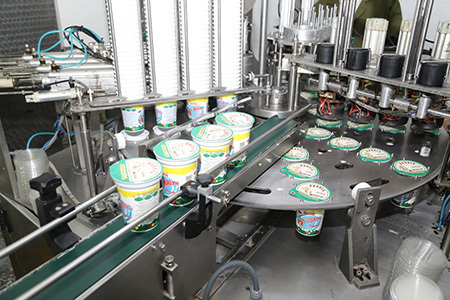 Cream are filled in aseptic packaging with a convenient screw cap, even with which it is convenient to store already opened product in the refrigerator. Whipped Cream is one of the most successful creams. Cream is used for making cakes and baking, you can also use it with fruits to give more beautiful appearance and special taste. It is easily absorbed into the baking, giving it a soft and pleasant form. To get a soft and light cream is very easy, just need to whip it for several minutes. You can also add sugar or condensed milk by your wish. Milk is the exceptional foodmade by nature. It contains all the components, which are necessary for human normal activityfrom birth to deep old age. 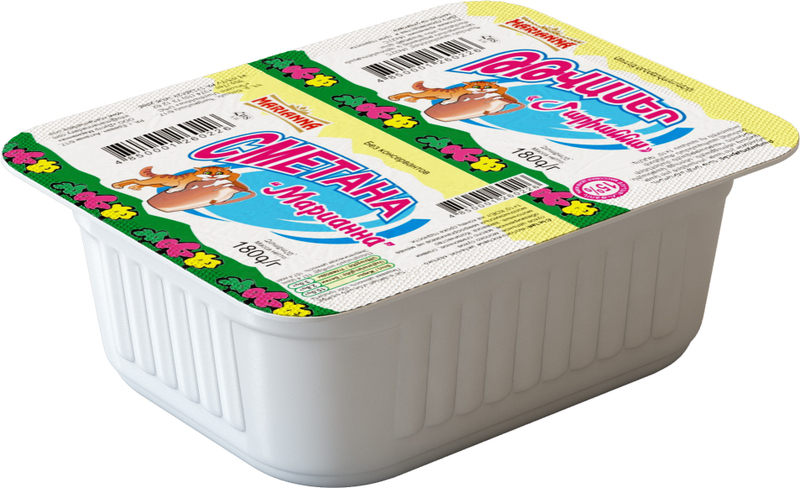 Milk is one of thebest known and most popular product, which exists practically in every house inevery refrigerator. There are many kinds of milk. The most differ in contents offat. Classic milk is the milk with the fat content of 2.5 and 3.2 percent. Themilk with 1.5 percent of fat content is considered a dietary. BIO-sour cream is manufactured on the base of natural cream. The product is a new generation, as it contains valuable to the human organism probiotic cultures. It has a fresh milk flavor and odor palatable, easily digested. It helps restore power. A great addition to many dishes. 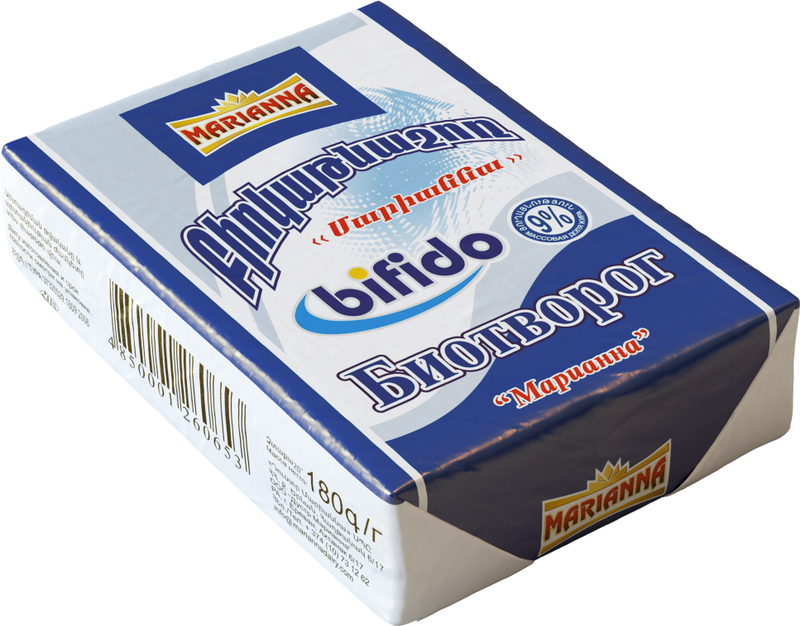 Biomatzoun enriched bifidobacteria, light and very pleasant in taste, is a splendid natural remedy for staving off hunger and cleaning the organism. Biomatsun indispensable during a diet and fasting days because It helps the body get rid of excess cholesterol and bring toxic substances. Biokefir - one of the most useful fermented milk product containing a bifidobacteria. It improves functioning of the gastrointestinal tract, tones nervous and cardiovascular system, reduces the risk of cancer, as well as the side effects of antibiotics. It is recommended for all age categories as therapeutic and preventive agent. Kefir is known as the source of keeping the youth in all over the world. By all the usefull components, kefir notably exceeds another sour milk products. The nutrients of kefir such as vitamin and amino acid, presence in it by the easy taking form, so it is valued specially for the children, old age persons which recover after the illness. But it`s not the full list of its dignity. Kefir takes control above the immune system, helps to overcome the chronic tiredness, irreplaceable for the sleep disturbance and trouble of nervous system. And because of milk acidity being in kefir the drink slakes the thirst which is important so much in summer days. Tan is the national caucasian drink. The unique combination of the natural microorganism, having the high biochemical activity wholesome influence to the function of alimentary canal. Tan is useful at the metabolic disease, by the disease of cardiovascular system, stomach, liver, bud, bowels and allergic illness. Actively descend the weight and it is the best method from the hang – over syndrome. 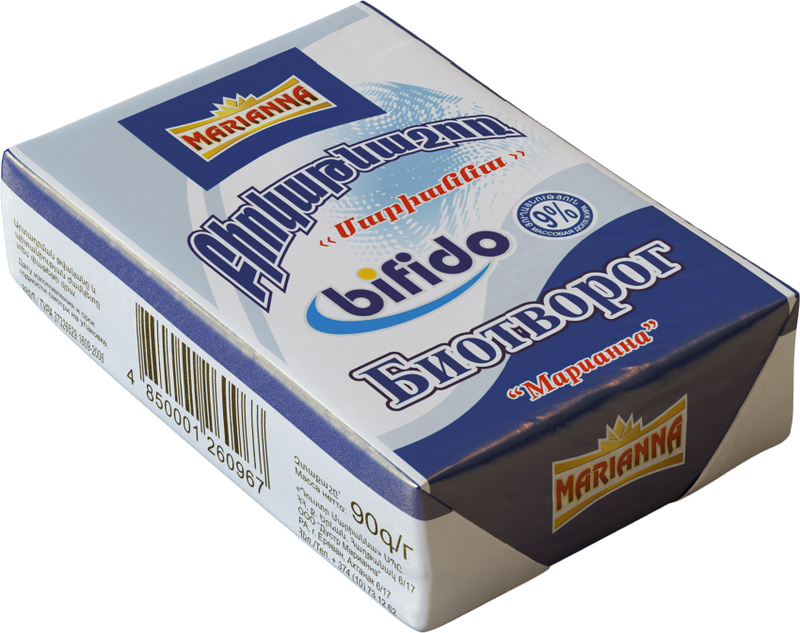 Biotan - a tan, enriched with bifidobacteria. Greek yogurt contains only rational components. This product does not contain synthetic additives. Produced from milk. Yogurt without sugar is considered food protein. 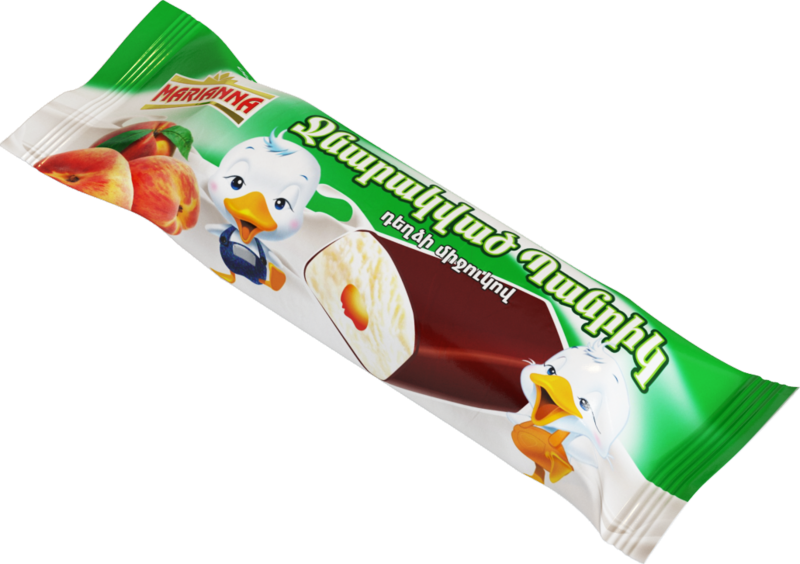 A small amount of thick yogurt is very sated, but does not cause a sensation of stomach heaviness. Greek yogurt is very tasty with fruit additions. Useful properties and soft taste, complementing each other and making it unique. 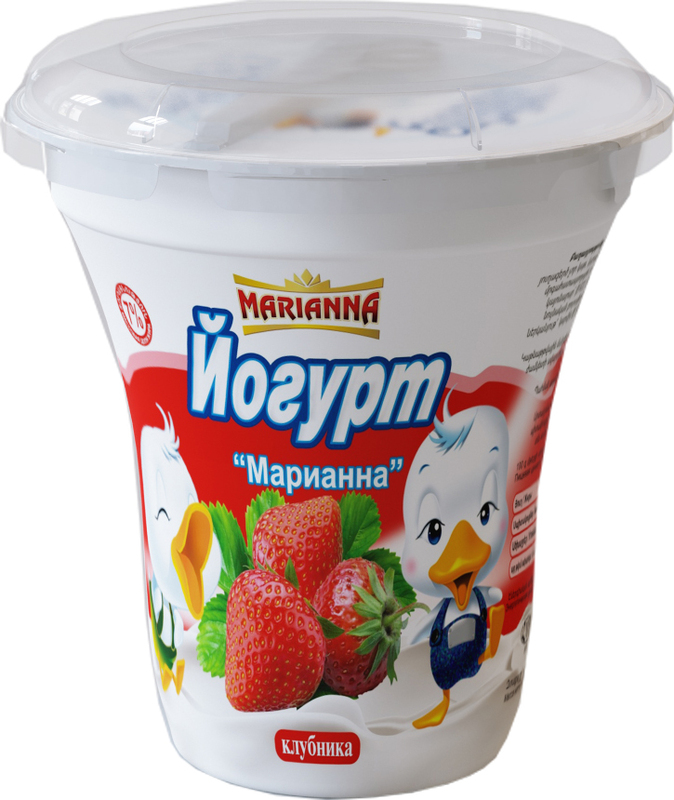 The fruit yogurt “Marianna” is the unique combination of the natural milk and fresh juicy fruits and berries. Yogurt has homogeneous tender consistence, pleasant lactate flavour and slim aroma of the fruits and berries. 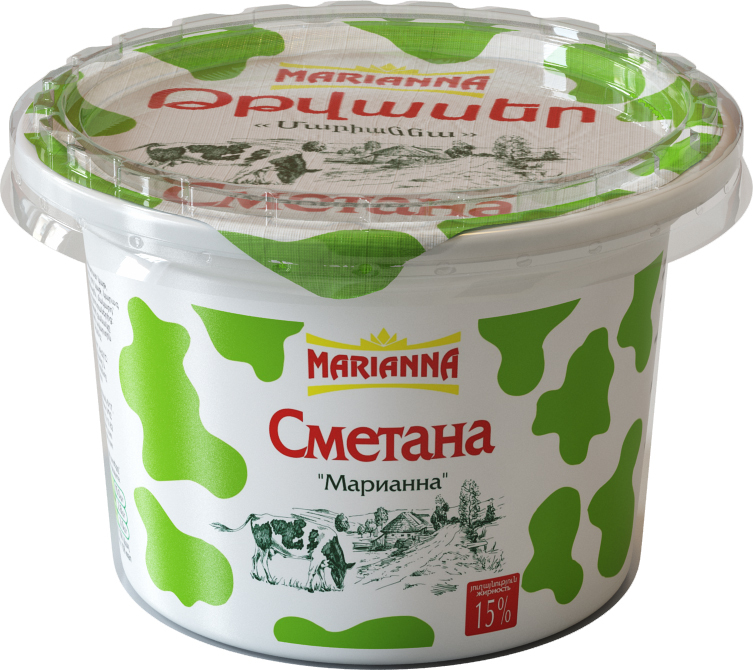 Because of using the live yogurt culture, the yogurt “Marianna” has the whole complex of the useful properties. The useful properties and soft tender compliting each other makes it unique. Assortment: peach, strawberry, apricot, raspberry. 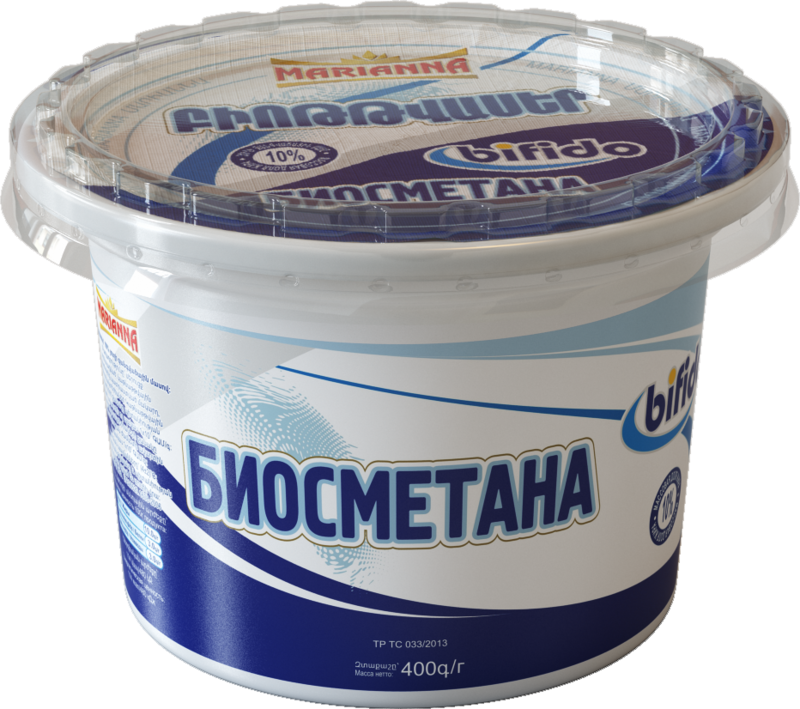 Bioyogurt is made from fresh milk added fermented bacteria. A significant role in the diet yogurt due to its composition, especially a full set of essential amino acids, protein, minerals, including many microelements. Yogurt helps to reduce cholesterol levels in the blood. It has a delicate flavor yogurt and easy digestibility. Tasty treats and healthy food. 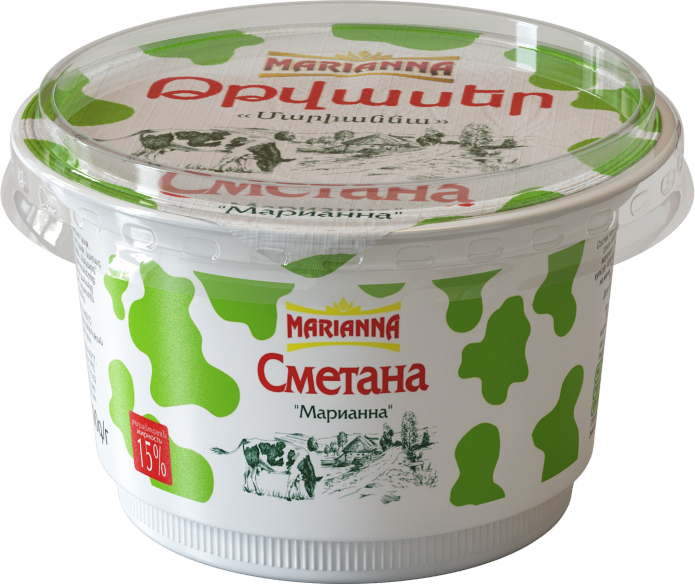 Live yogurt cultures help to strengthen the immune system and lower blood cholesterol. 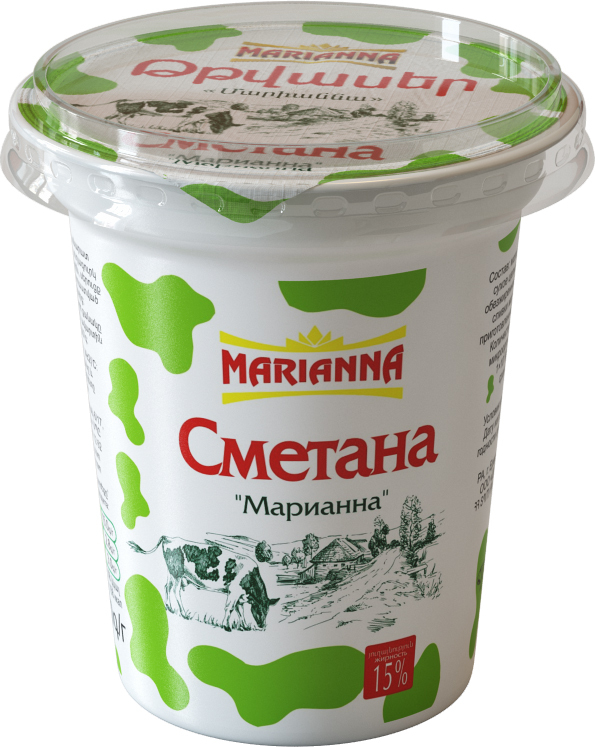 "Marianna" drinkable yogurts contain live yogurt cultures, selected natural food ingredients and have absolutely no preservatives! 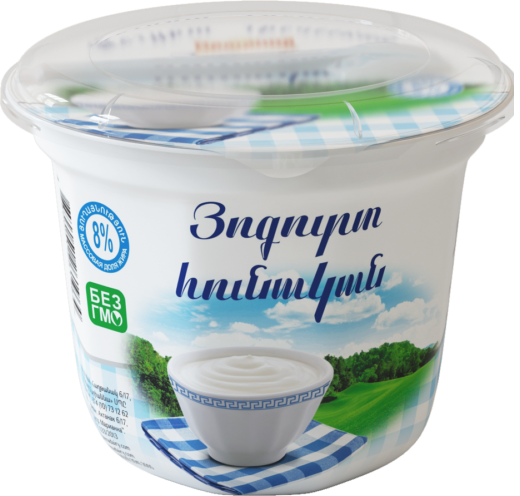 Drinking yogurts are very popular fermented milk productsdue to the large variety of tastes and practical packaging. 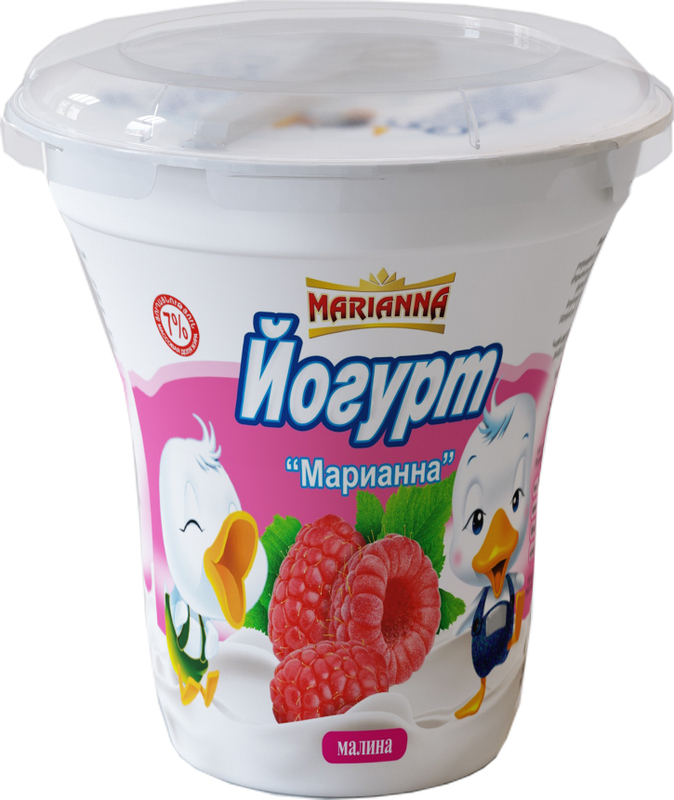 The 5 brightflavors of drinking yogurts - "Strawberry", "Raspberry","Apricot", "Peach" and "Exotic" return to thebody easiness and fill with the vital energy for a whole day. 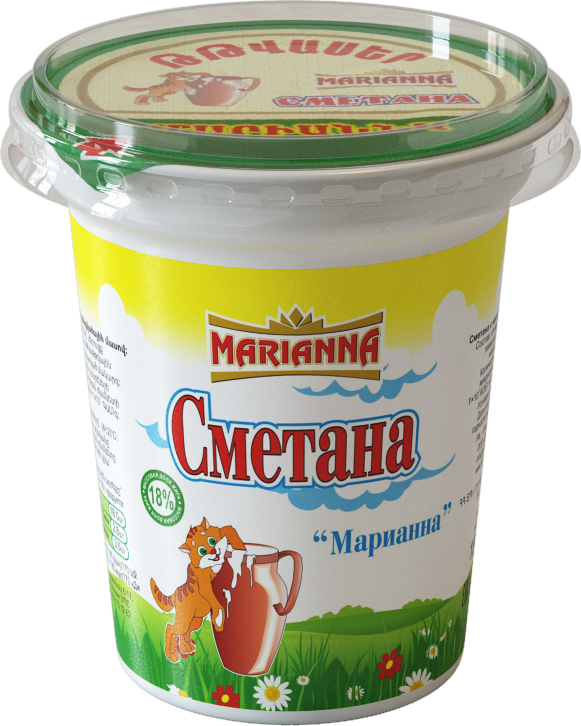 "Marianna" drinking yogurts are excellent source of energy andhealth during a day. 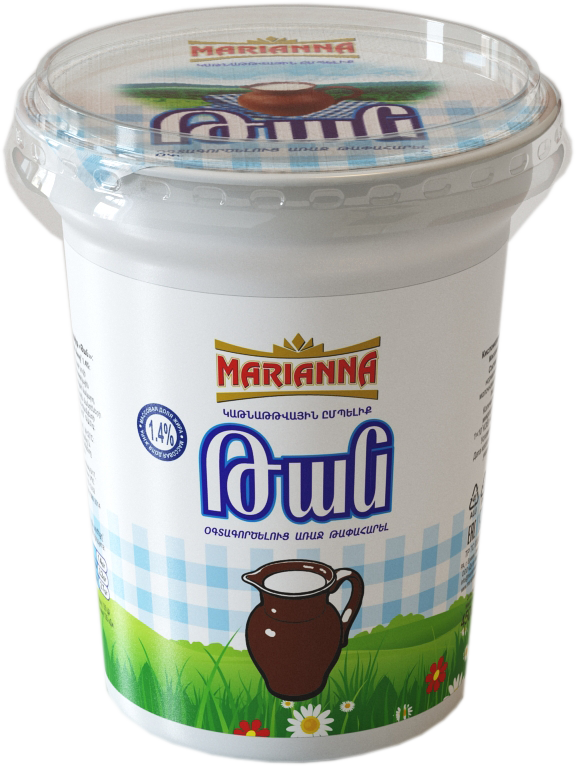 Drinkable boiyogurt gives a unique opportunity to combine tasty and healthy together: to know the unique taste of the best ripe fruit and choice of milk, heal your body, fill it with energy and beauty! Drinking bioyoghurts contain pure cultures of bifidobacteria, which with regular use significantly increases the body's immunity. 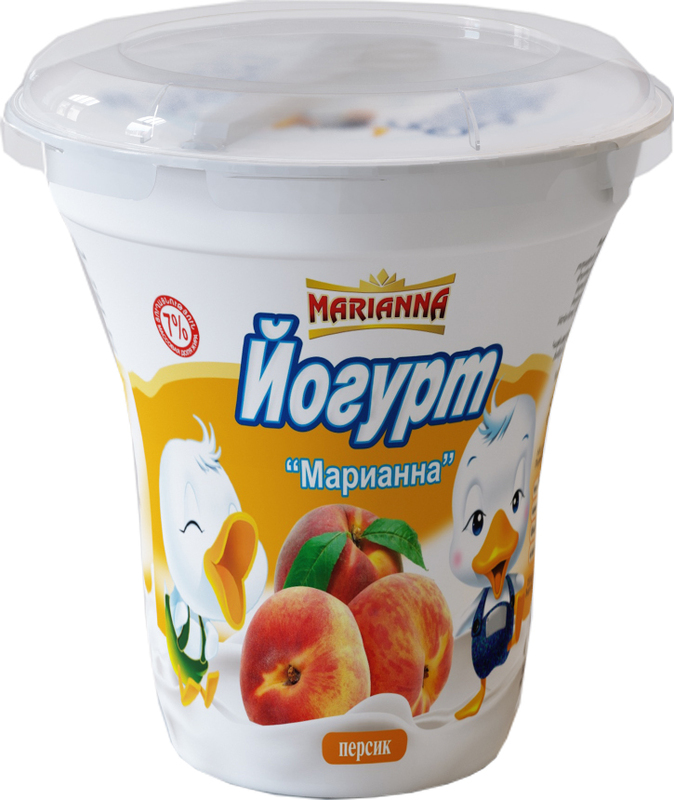 Daily consumption of drinking bioyoghurts with flavors of strawberry, raspberry, peach, apricot and exotic fruit mixture improves digestion, neutralizes the effects of malnutrition, helps to naturally restore vitality. Drinkable bioyogurt gives a unique opportunity to combine tasty and healthy together: to know the unique taste of the best ripe fruit and choice of milk, heal your body, fill it with energy and beauty! 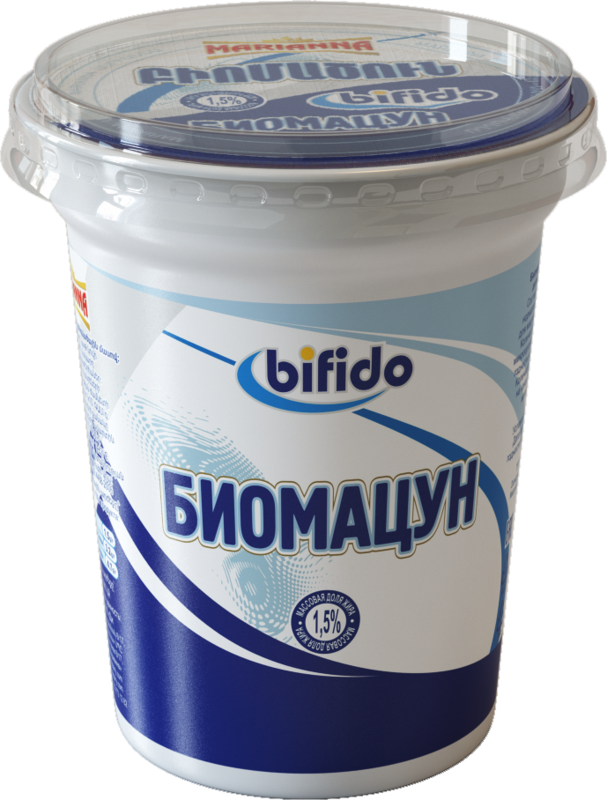 Drinking bioyoghurts contain pure cultures of bifidobacteria, which with regular use significantly increases the body's immunity. 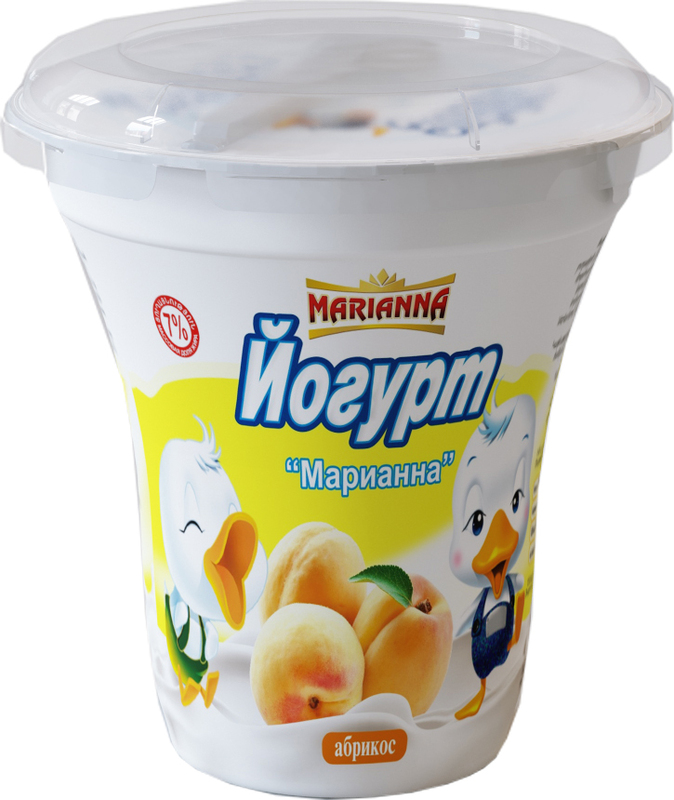 Daily consumption of drinking bioyoghurts with flavors of strawberry, raspberry, peach, apricot and exotic fruit mixture improves digestion, neutralizes the effects of malnutrition, helps to naturally restore vitality. The curd is an integral part of a healthy and nutritious diet. Curd is an indispensable source of protein, vitamins and minerals.In addition to the pleasant taste, it has a number of beneficial properties, is rich in calcium and phosphorus that are needed for proper bone development. curd is very beneficial for children and adults, and is also widely used in diseases treatment of liver, kidney, cardiovascular system, gastrointestinal tract and other. Crd beneficially affects the nervous system. 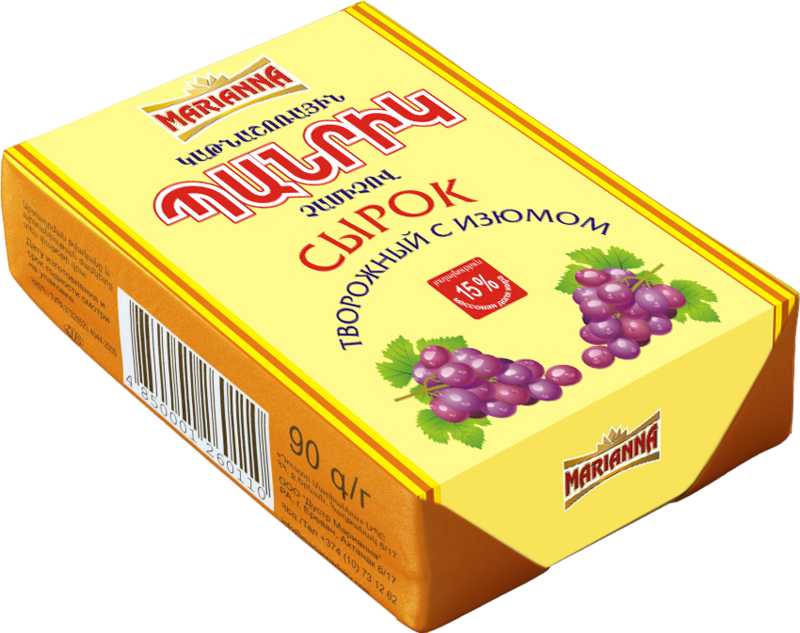 Nonfat curd has a dietary properties and that is why it is included in many diets. Curd is also used in traditional medicine, particularly in burns and bruises treatment. 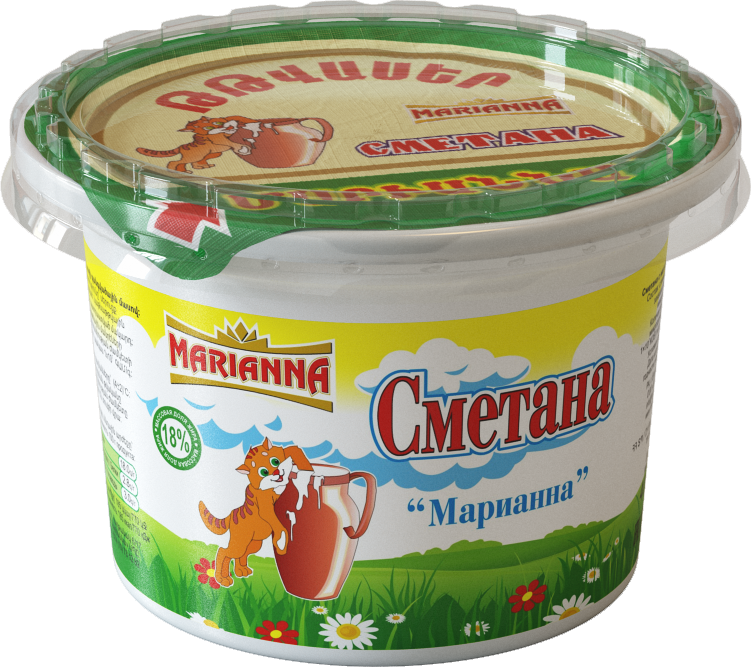 "Marianna" offers to it’s consumers the 9% fat cottage cheese and nonfat curd. 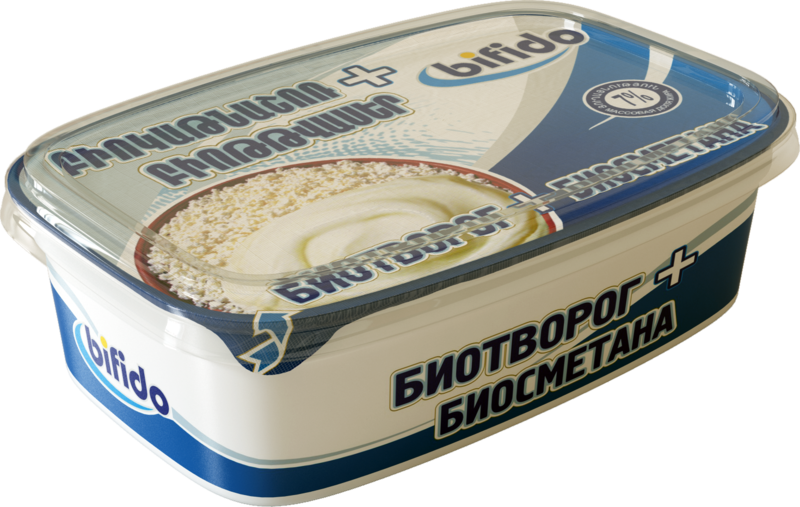 Granulated cottage cheese holds a special place among the dairy products, somewhere in between the simple cottage cheese and cheeses. It differs from the simple cottage cheese and cheeses of the least amount of fat in the dry weight of the product. Granulated cottage cheese is rich in B vitamins, vitamin C and PP. Granulated cottage cheese primarily contains calcium, as well as any other dairy product. It is rich in phosphorus, potassium and sodium. Biocurd is one of the most valuable food for people of all ages. 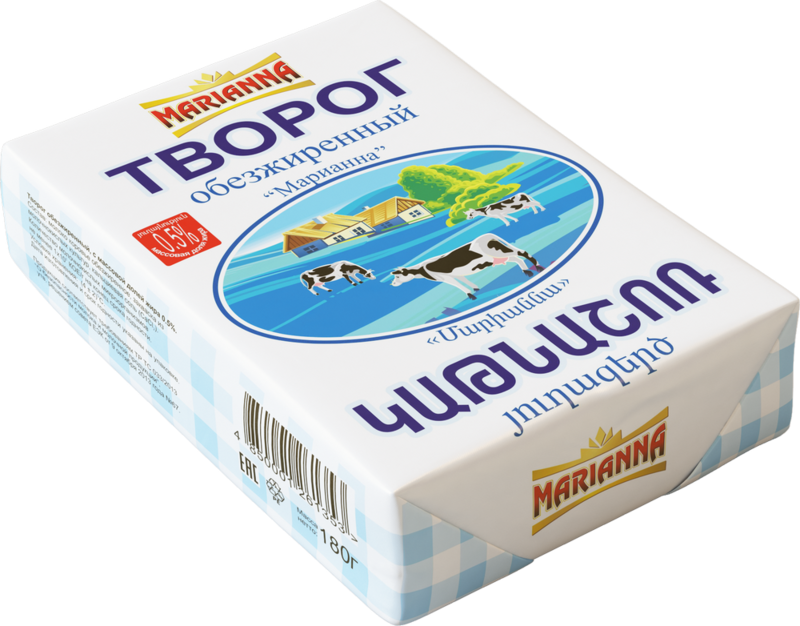 This gentle, slightly sour milk product is very popular among the population, as it is tasty, nutritious and indispensable in the manufacture of many dishes. The source of valuable protein, vitamins and calcium. There are various vitamins. With daily use, enhances immunity. Combining Biocurd + Biosour Cream makes the product more effectively. 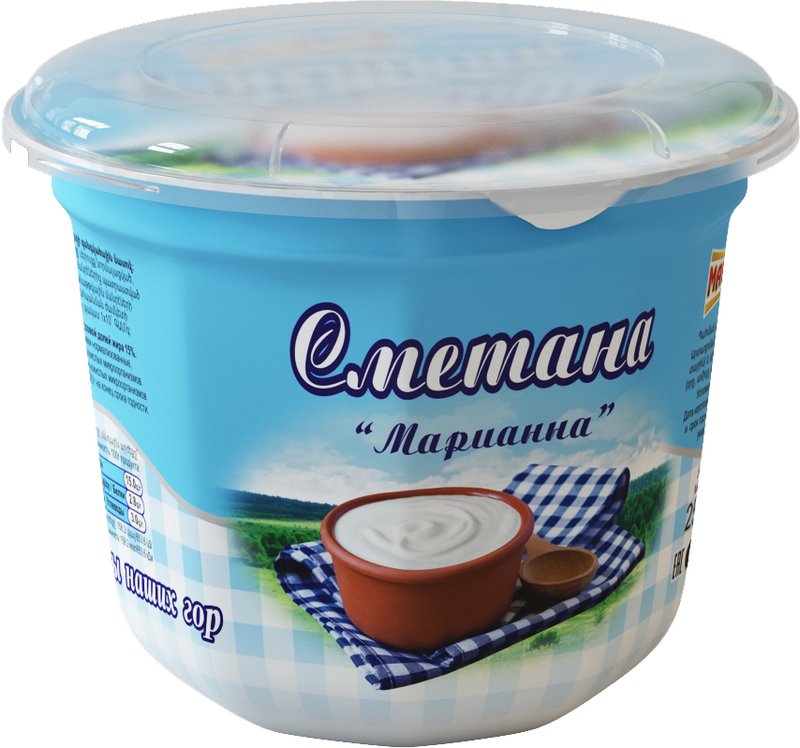 The product has a delicate texture, rich in calcium, phosphorus, vitamins B1, B2, B6, PP, A and D.
Combining Biocurd + Biosour Cream makes the product more effectively. 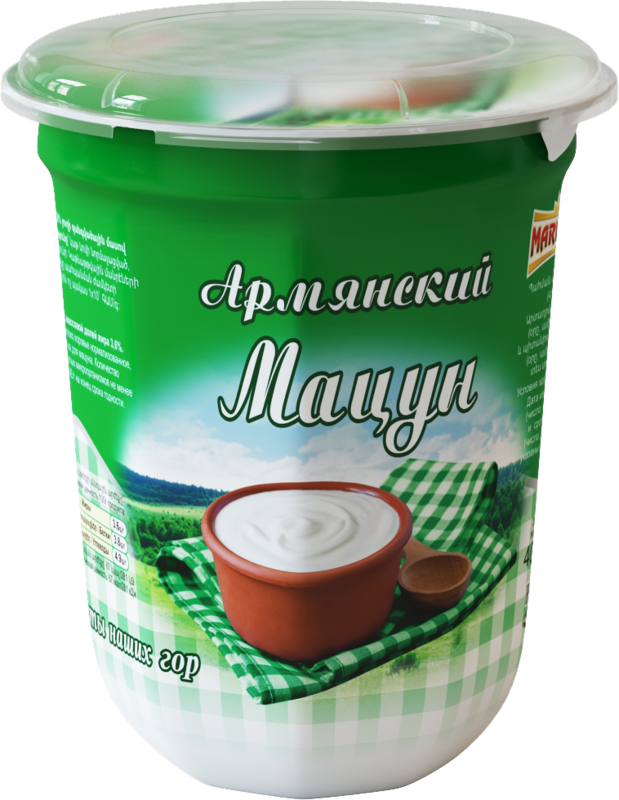 The product has a delicate texture, rich in calcium, phosphorus, vitamin B.
Glazed curd have a delicate texture and flavor. Light dainty with apricot, peach, strawberry, raspberry, condensed milk and vanilla flavor. Glazed curd production is comparable to an art form. 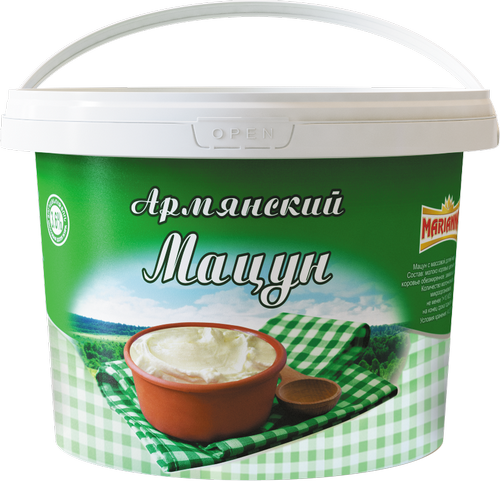 The classical glazed curd consists of three main components: the curd mass, glaze and topping. Curd mass is a major supplier of minerals, and its protein is one of the most high-grade food proteins that favorably affects the human fat metabolism at any age. The chocolate glaze determines the glazed cheese appearance. Our production technology allows us to achieve the glossy surface of the glaze, to reach a special fragility of the glaze, make it not to melt in a hand and perfectly combine with the curd mass. The glaze is rich in organic compounds, beneficially affects the cardiovascular system, reduces stress and improves the mood. Fruit and berry fillings make cottage curd a beneficial dainty. The chocolate glaze determines the glazed cheese appearance. Our production technology allows us to achieve the glossy surface of the glaze, to reach a special fragility of the glaze, make it not to melt in a hand and perfectly combine with the curd mass. The glaze is rich in organic compounds, beneficially affects the cardiovascular system, reduces stress and improves the mood. Fruit and berry fillings make cottage curd a beneficial dainty. 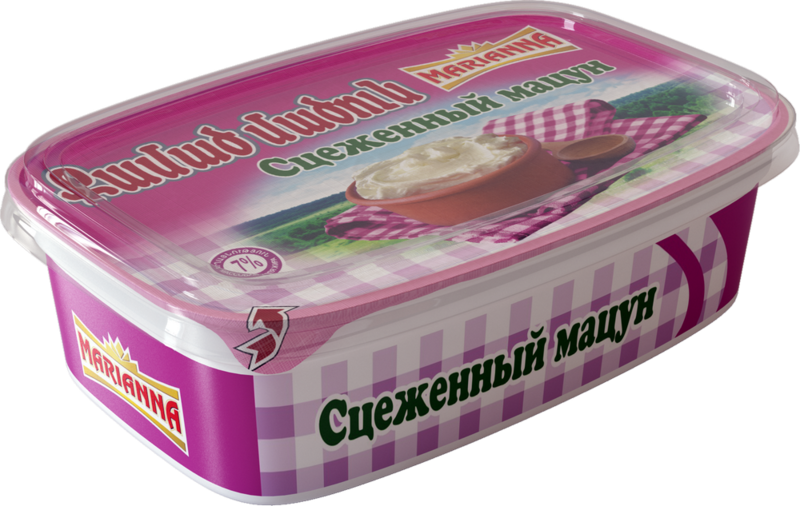 Sweet curd cheese with raisins - a real treat for kids and adults. Mayonnaise is one of the wonder in the sphere of cookery art. 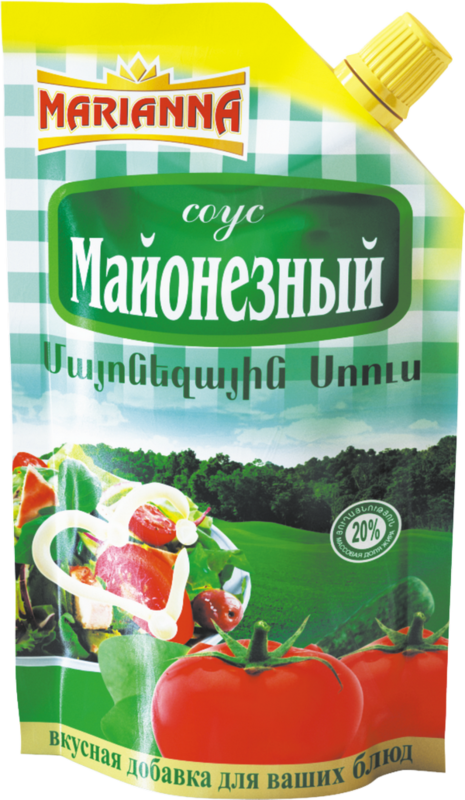 It`s not only the high nutritious product but also, that`s very important, promote to easy assimilation with taking another food. That`s quite to consider it as the indispensable condiment to the many kinds of dishes. The company “Marianna” in the precede of 2007`s year nicely surprised with its new nationality production of mayonnaise. 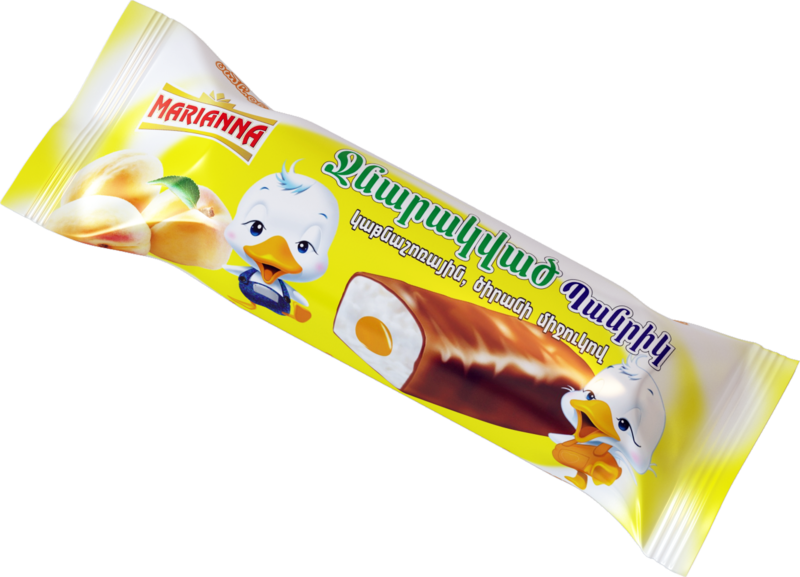 Elegant flavour, the tender consistence, glossy look are the distinctive points of our product. Biokefir is one of the most useful fermented dairy products, which contains bifidobacteria. It improves functioning of the gastrointestinal tract, tones nervous and cardiovascular system, reduces the risk of cancer, as well as the side effects of antibiotics. It is recommended for all age categories as a therapeutic and preventive agent. 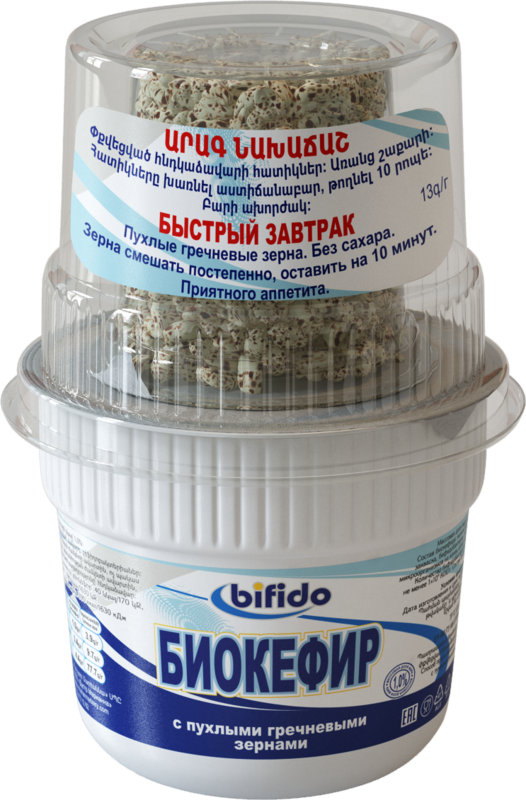 To this product there is added more useful product - puffed buckwheat without gluten, which makes the biokefir more delicious and more useful. Such kind of breakfast will provide a better start of day for you and your family. We suggest this product to those, for whom the healthy lifestyle and a good mood is very important.